After each BodyTalk Access class we do 2 weekly Group Tap gatherings where we give the gift of a BodyTalk Access session to you in a group setting in order to uplift each other and our community. Come experience some of the most effective BodyTalk techniques as we apply the Access techniques to help your body heal and grow. BodyTalk Access is gentle, non-invasive and can be performed sitting, standing or laying down. We call it a Group Tap because part of BodyTalk involves a “tapping” motion to facilitate the communication required to help stimulate the bodymind and to store the memory of changes that are being made. and enabling our bodies to more effectively heal from injury and fight disease. Our Group Tap is a 1-2 hour free event where the public, BodyTalk clients, Access Graduates and BodyTalk Practitioners can experience BodyTalk Access Techniques as we focus our intention and tap together to change our lives. Access Graduates will get a chance to practice and everyone is encouraged to enjoy the benefits of BodyTalk in a group. 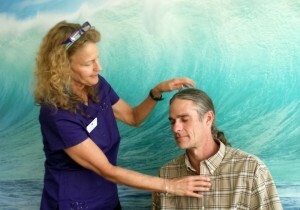 Bring your family and friends to experience and learn the stress-reducing and brain-boosting Cortices technique and to feel the effects of BodyTalk Access. During each Group Tap event, one person attending will be chosen to receive a BodyTalk Session. Group Tap dates are scheduled after each Access Class. Check back here or visit us in the office for new dates.